Smart solutions for patients sensitive to fram components. 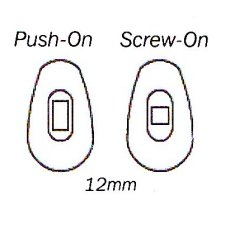 Available in screw-on or push-on design. Symmetrical design - no left or right issues. Transparent with plastic insert. The number one, industry standard design used on many of todays frames.